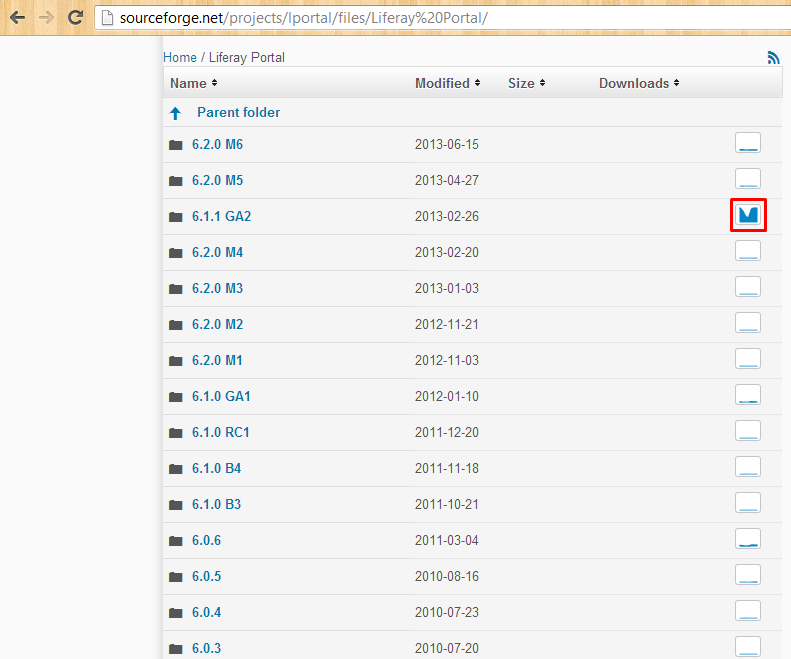 2) Select the Liferay Portal version that you want to download. Red box indicate the most popular version that users have downloaded. 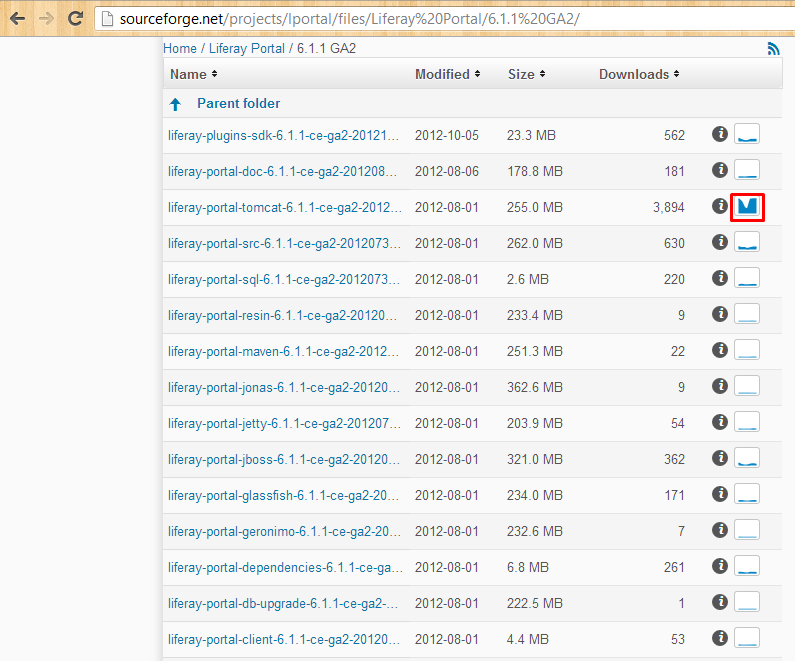 3) Select the download package that you want to download. Red box indicate the most popular package that users have downloaded.